For me, the most unsettling type of literature deals with mental illness or cognitive degeneration. Internal threats are always more terrifying than those coming from outside. Self-inflicted wounds cut the deepest, and loss of cognitive faculties is perhaps worse than death. That’s why many of the books we’ve discussed, thus far, have concerned mental illness. And it’s a topic that has fascinated many great writers. Today, I’ll look at works from three legendary authors—Leo Tolstoy, Nikolai Gogol and Lu Xun—that are each unsettling in their own way. First, Tolstoy’s “The Notes of a Madman,” his short story based on a real-life panic attack he experienced in 1869. What I find interesting about Tolstoy’s story is that mental illness is not a major theme, and he’s not making a grand statement about either insanity or the health care industry. Rather, his story is describing what we today know as depression and dissociation. It’s interesting to read a work that presages what we consider to be a modern malaise. He traces this feeling back to his childhood, in which a similar fear overtook him when he was told stories of Jesus and his suffering. We now know that early childhood traumas establish patterns and plant seeds of self that often bloom as we approach middle age (the narrator is 35). It’s easy to think of our modern anxieties as unique to our time or our culture, and yet this story reads like a contemporary work (horse-drawn carriage and candle lighting aside). In this way, and not necessarily by intention, Tolstoy reveals the universality of anxiety, depression and dissociative episodes. 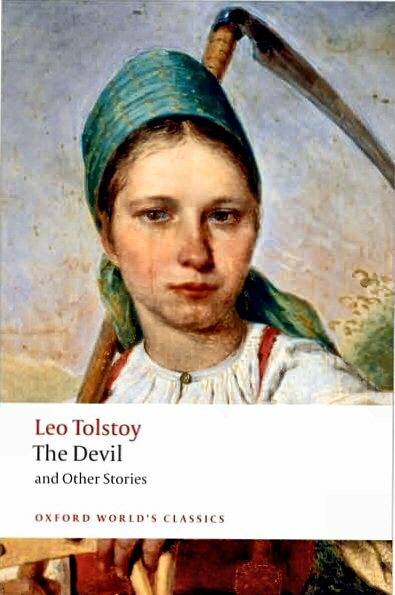 Tolstoy’s brilliance is his ability to deliver his account as a first-person narrative. True, impaired characters tend to be unreliable narrators, but what is gained with this POV is the personal detail of the panic attack, which is vivid and horrifying. Tolstoy reminds us that self-awareness is common in these types of episodes, which is perhaps the most unsettling aspect of this story—not that we experience madness, but that we are fully aware of what’s happening. 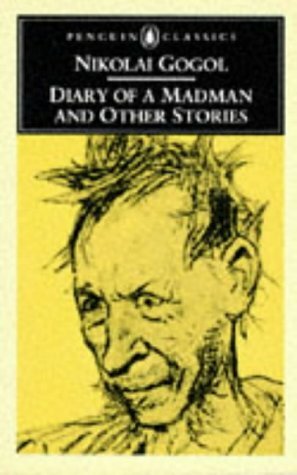 Gogol took a farcical approach in his story, “The Diary of a Madman.” This is a first-person account of a Russian civil servant, Poprishchin, who winds up in an asylum. Told in diary format, Gogol is able to develop conflict, desire and even self-description—a tricky proposition with an unreliable narrator. Poprishchin is a low-ranking clerk who feels looked-down upon by his superiors and fails to project the same superiority over his subordinates. He is a man relegated to performing menial tasks with no sense of purpose or respect, and certainly not social status. Here, Gogol taps into a human universal: The need for self-actualization. A sense of purpose, a belief that our work, no matter how undesirable, has a bigger meaning. The misconception some people have is that mental illness is simply a break from the commonly agreed-upon narrative of reality. But people dealing with men tal distress are also living within a personal narrative that is every bit rooted in common sense and, more importantly, cause and effect as ours. What may seem disjointed to the group may seem perfectly linear to the individual. The challenge is capturing that experience in fiction. Lu Xun employs two common devices, both of which, while effective when this story was published a century ago, would be difficult to get away with in modern literature. He starts with the voice of reason: a man introduces the diary of a friend who suffered from paranoid delusions, ostensibly for the purpose of medical research. Then we receive the voice of the narrator through a series of diary entries. What I like about Lu Xun’s approach is that he puts us in the mind of the mentally distressed. Xun’s narrator begins with a common anxiety that others are looking at him strange, perhaps joking about him in the street and planning to harm him. Some local children laugh when they see him, and he deduces that they must have been instructed to do so from their parents. Then, he overhears a story about a nearby village where cannibalism is still practiced. This manifests as an obsessive fear of being eaten, and soon he believes that the children, his brother and the whole of the town intend to kill him and eat his flesh. This escalates into more dire theories. When we write about the mentally ill, there is tendency to reduce them to the “other.” Going first-person, seeing through their eyes, offers some insight, but is still limited if we meet them in what we perceive to be a static state of being (e.g. sane vs. insane). But following the narrator’s descent illuminates the insidious nature of mental illness and distress. 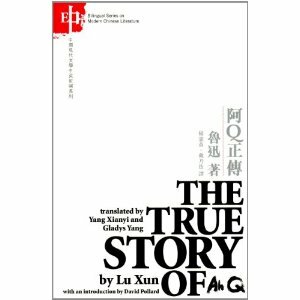 Lu Xun does a great job of capturing that in this classic tale. And there are certainly others we could discuss, perhaps in future installments. But for now, these are three classic takes on mental illness that have much to offer to the conversation of madness in literature.